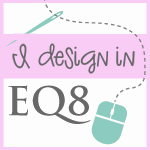 Hi 🙂 As some of you may know, I am homeschooling Nikki and we follow an eclectic mix of Charlotte Mason (particularly Ambleside Online and A Mind In The Light) and unschooling. Within Charlotte Mason teachings, learning life skills ranks high on the list over “busy work” crafts. In expanding on this idea, with the new year came the idao to start working more on these “life skills” (crafts that are actually teaching them something that they can do/make with their hands later in life that will benefit them). For the new year Nikki was given an empty toolbox. She was puzzled until I explained: we are going to be doing different crafts that will require the use of regular handheld tools. When said tools are needed for a project, not only will we be making the project, but she’ll be learning about the tool along with safety. This first craft involved the use of rubber mallets, vice grips, and my dremmel. However, for her, we’re only focusing on one tool at a time and I do the rest. A while back I had seen a picture of these necklaces on pinterest. The pin led to a round-up-post by allwomenstalk.com that you can find here. Photo credit is given to KimmyKats Jewlery but the link and redirect are defunct and a google search turned up an Etsy shop that is “on break” and had it’s last review done just about 2 years ago. While I liked the look of these, I put our own spin on them. First I started out by clamping the spoon in a pair of vice grips and using my dremmel with a cutting wheel, cut the bowl of the spoon off of the handle. Once that was done, using a grinding stone, I shaped the straight cuts so it was rounded like the rest of the spoon bowl. At this point, we took the spoon bowls, mallets and hammer outside and started beating away at the spoon bowls on the driveway. This was not something we could do indoors since we do not have a anvil and our floors are old wood. Plus, I wanted the pitting that the concrete would leave on the surface of the spoon bowl. Once we were happy with how flat they were, we brought them in and I drilled holes in the tops of them using a small drill bit. I actually ended up using my small cordless drill for this since I couldn’t find the correct attachment for the Dremel. Once we were happy with the way they looked we stopped and let them dry. We did both the front and back of them so they can be reversible. Once we they dried overnight, I sprayed them with a few light coats of clear gloss spraypaint. Once that was dry it was time for us to play with beads. Using 3 jewelry head pins, we threaded beads onto them for dangles. I put them all together and now we have similar necklaces but each with our own flare and personal touches. This is the one I made. I asked Nikki to let me take a picture of her wearing her necklace. This is the look I got. Finally, I asked her if I could have a picture of her smiling nice while she’s wearing her necklace. I’ll be back on Sunday with hopefully a flimsy to share and the pattern for it. Wish me luck!